The Potomac Patriots Hockey Program is a non-profit organization dedicated to developing hockey players of all ages and skills levels. Our organization offers players a challenging and competitive program in an environment that emphasizes team play, academic excellence, and personal development. We provide every tool necessary for a young hockey player to excel. These include state-of-the-art facilities such as weight and off ice training rooms, custom locker rooms, video rooms, and much more. We also employ passionate, dedicated coaches and front office personnel who work cooperatively with our multi-talented volunteer corp.. The Potomac Patriots are one of the most comprehensive programs in the United States. House Hockey, Tier II Travel, Youth High Performance, Juniors, Girls, and Disabled hockey programs are all offered by the Patriots. Our mission is to offer programs that help take players from "Cradle to College". The final step in our ladder of development is the opportunity to advance into the Junior Hockey ranks, and ultimately gain exposure to college level scouts. We offer a program focused on that goal, but one that also encourages academic excellence. First and foremost, our student-athletes are students, and they must place a priority on academic excellence. The Patriots field Junior teams in the USPHL Premier Junior Hockey League and the USPHL Elite Junior Hockey League. Our Youth Travel teams play in the USPHL and CBHL in addition to their competitive non-league games schedule. The home rink for the Potomac Patriots is the Prince William Ice Center located at 5180 Dale Blvd., in Woodbridge, Virginia. We invite you to our brand new, state of the art facility to see some of the finest hockey players in the area. 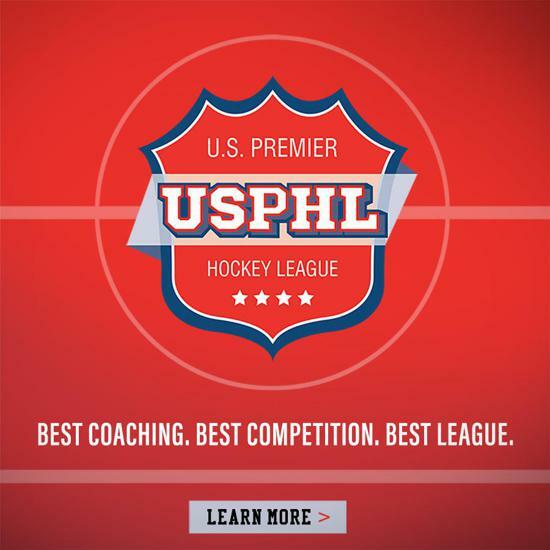 The United States Premier Hockey League (USPHL) is an American ice hockey league. Founded in 2012, the USPHL has 36 organizations from across the Eastern Seaboard of the United States fielding teams in Premier, Elite, U18 and U16 divisions. The Premier Division is the top Tier of the USPHL League structure. The Elite and Empire Divisions are both USA Hockey Tier III Junior Leagues. The U18 and U16 Divisions are Tier I youth hockey divisions. All five divisions are sanctioned by USA Hockey. "Jonathan Succese has a passion for training and developing athletes on and off the ice. His dedication and professionalism are unmatched. 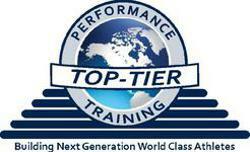 That's why the Potomac Patriots and Prince William Ice Center are proud to be partners with Top Tier Performance Training." The CHESAPEAKE BAY HOCKEY LEAGUE (CBHL) is sanctioned by USA Hockey, and a member of the Potomac Valley Amateur Hockey Assn (PVAHA), an affiliate within the Southeast District of USA Hockey. The league consists of twenty three Tier II clubs located throughout Washington DC, Maryland and Virginia. The objectives of the CBHL are to provide an opportunity for young men and women to participate in amateur ice hockey in an organized and competitive environment, to foster player development both physically and academically, and to provide opportunities for personal growth and enrichment.